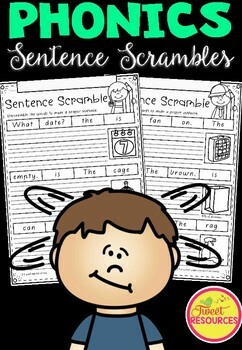 Sentence Scrambles are a fantastic way for your students to practice sentence structure and pre-writing skills. These phonics printables would be a fantastic addition to your literacy centers, word work stations, morning work or even your homework program. They are designed specifically for classrooms in Victoria and feature Modern Victorian Cursive Font writing, lines and A4 paper size! 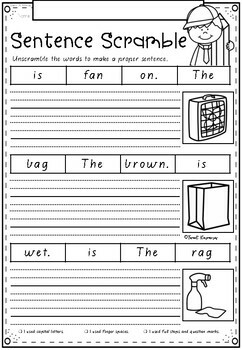 In this activity students are asked to unscramble the words for 3 sentences and write the sentence on the lines below.